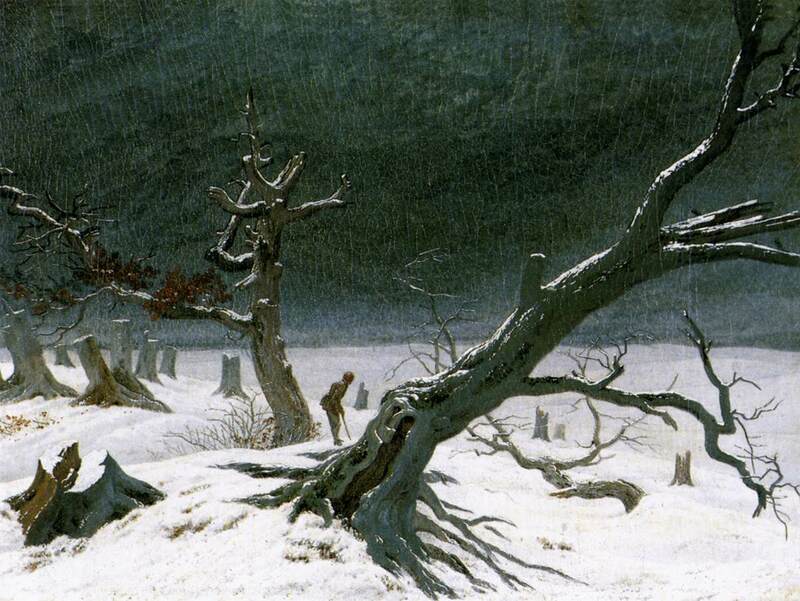 Caspar David Friedrich 1811. via Wikimedia Commons. We don’t have any snow right now, but this seems a very January poem nonetheless. I had thought that it was scheduled to post last year, but something happened and instead it was in the unpublished drafts folder. So, a bonus poetry post! I so much love Robert Frost’s poetry. I hadn’t come across this one before, so thank you for the delight. I spent a month or two last year reading a Frost poem every day. I’d hoped to keep it up and get through the whole book, but I got distracted. Still, it was lovely and I came to appreciate his longer narrative poems for the first time. I’d liked him before, but to really know a poet you really need to immerse yourself. I wish I had more time for such immersion.